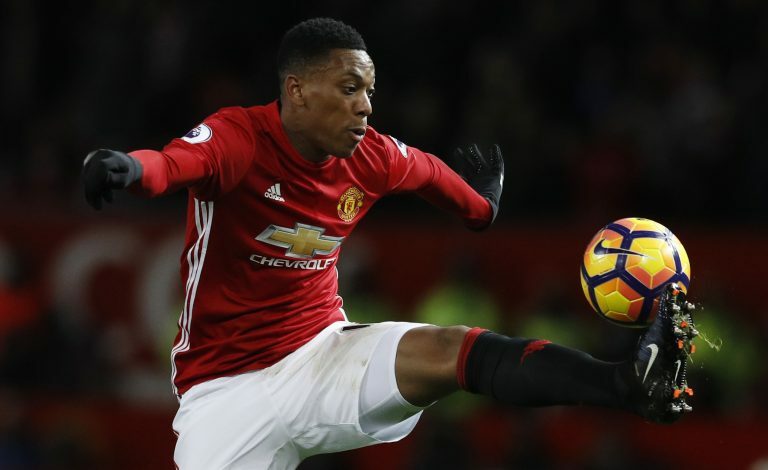 Anthony Martial’s woes at Manchester United continued to persist on Sunday, as the forward remained an unused substitute by Jose Mourinho yet again during the Red Devils’ 3-0 thumping of reigning Premier League Champions Leicester City. Many expected Jose to send the Frenchman on after the Reds had gained a comfortable advantage, but the Portuguese instead decided to use Marouane Fellaini and Ashley Young from the bench, much to the surprise of the United fans. The fanbase of the Old Trafford outfit expressed their shock as well as frustration over Martial’s exclusion via social media. Surely this is the perfect time to bring Anthony Martial on and build up his confidence? Ashley Young comes on in place of Marcus Rashford instead of Anthony Martial. There is something deeply wrong going on with Martial. Uh oh. Mourinho delighted with Mkhitaryan. Says he was 'protecting' him when he wasn't in the team. Maybe a message to Martial and Shaw. Every #MUFC fan who wants to show support for @AnthonyMartial should change his prfl name to "FreeMartial". Anthony Martial is definitely leaving in the summer. PSG likely.